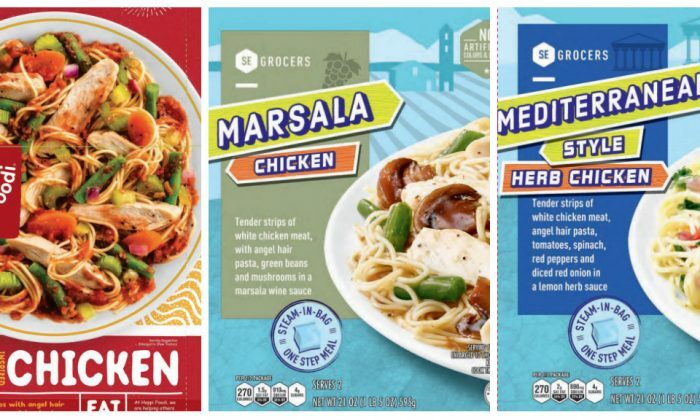 The Department of Agriculture announced a food recall on Feb. 10, of nearly 100,000 pounds of frozen chicken entrees after an ingredient was not listed on the product label. 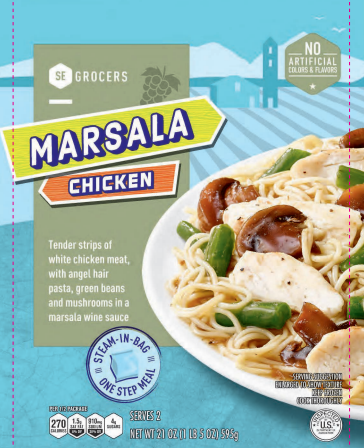 – Southeast Grocers brand Mediterranean Herb Chicken with lot codes 14145 and 14531 and use by dates of Feb. 7, 2020, and March 4, 2020. 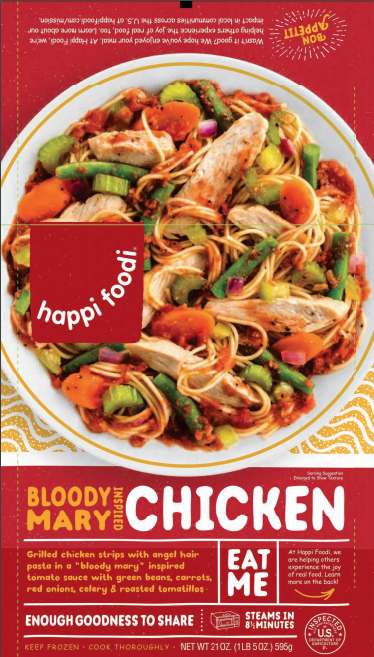 The Happi Foodi brand meal was shipped to retail locations nationwide and can be found in Walmarts across the country, according to the company’s store finder. Meanwhile, the Southeast Grocers Brand products were shipped to retail locations in Alabama, Florida, Georgia, Louisiana, Mississippi, North Carolina, and South Carolina. According to the press release, a company that co-packages for the manufacturer discovered the problem during a label review on Feb. 8 and the USDA was notified a day later. So far there are no confirmed reports of adverse reactions from eating these products. But the USDA considers this a class I recall and a high health risk. This means that there is a reasonable probability that the use of the product will cause serious, adverse health consequences or death, according to the federal agency. The USDA urges anyone who has purchased these products not to consume them and either throw them away or return the products to their place of purchase. Eggs are one of the most common allergy-causing ingredients for children, according to the Mayo Clinic. Symptoms of the allergy usually occur a few minutes to a few hours after consuming eggs or products containing eggs. Signs and symptoms of the allergy include skin rashes, hives, nasal congestion, and vomiting or other digestive problems. In more serious but rare cases it can cause anaphylaxis, which is life-threatening. In order to prevent an allergic reaction, consumers are advised to read food labels carefully, be careful when eating out, wear an allergy bracelet or necklace, for children let caregivers know the child has an egg allergy, and avoid eggs if breastfeeding. Consumers with questions about the recall can contact Gary Laney, vice president of product innovation and quality for WaffleWaffle, LLC at 201-559-9806.